Learn Japanese To Survive! Kanji Combat is developed and published by Sleepy Duck. It was released in 1 Aug, 2018. 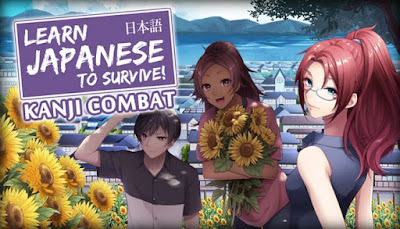 Learn Japanese To Survive! Kanji Combat is an educational game, designed to be the ideal introductory course to the Japanese language! It’s the third game in a smash-hit series, following Hiragana Battle and Katakana War – but you don’t need to have played those! This new game teaches you a separate part of Japanese: the Kanji writing system. Everything you need to start learning Japanese is contained within the game! Japanese is a language that can be very daunting to begin learning. It contains a unique alphabet of intricate symbols that can be very confusing to newcomers. How do you write these symbols? How do you even pronounce them?! If you’re asking yourself these questions, don’t worry – that’s completely normal! Much like the other games in this series, you will also have the opportunity to learn some Japanese vocabulary! You’ll see how words are constructed using Kanji, and learn the translations of useful words and phrases.FeaturesLearn over 200 Kanji characters, with detailed instructions on how to read and write each character. Learn useful mnemonic techniques to recognise each Kanji. Audio speech examples from native Japanese speakers demonstrate how to pronounce each Kanji character. Follow along with the exciting story that will see you travel to Japan to defend the country from shape-shifting monsters! Exciting gameplay with familiar RPG elements – collect items, complete quests, engage in batles! Build a new town from the ground up. Customise your town with different features!